Solitude Mountain Resort lives up to its name, set far from most of the other ski resorts in the Salt Lake City area. Opened in 1957, Solitude occupies part of the Big Cottonwood Canyon and has a reputation for being family-friendly, much like the other resort in the same canyon, Brighton. In fact, there's a partnership between the two resorts that includes a combined day pass and a chairlift that offers access to both. Solitude has 65 runs, more than half of which are in the “intermediate” level, and the ski season lasts from roughly mid-November through mid-April. There's a Nordic Center that sits between Solitude and Brighton, where you can go snowshoeing, cross-country skiing, and skate-skiing. In addition to skiing, visitors to Solitude can go ice skating on an outdoor rink. 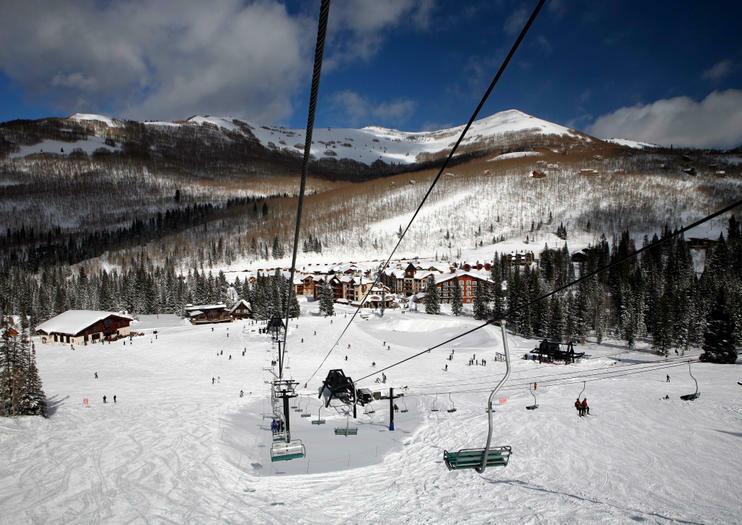 Solitude Mountain Resort is 40 miles from Salt Lake City International Airport and 30 miles from the city. Day passes start at $77 for adults, $54 for seniors, and $49 for children ages 7-13. Kids under 6 are free, and there's a “beginner” adult pass for $57. A combined “Sol/Bright” pass good at both Solitude and Brighton is $84.